So, imagine this. 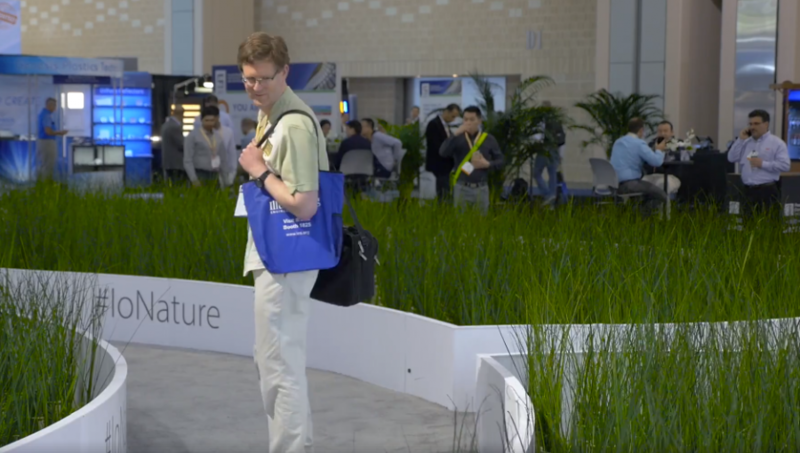 You’re on the floor of Lightfair, the world’s largest show dedicated to “all that’s new and next in lighting design and technology.” Suddenly in the middle of a cluttered (and, of course, brilliantly lit) sea of booths you come upon a field of grass, gently rippling in a non-existent breeze. Nature sounds all around you, and not a lighting product to be seen. We know, right? What the fudge? And to be honest, that’s pretty much what we said when our client, RAB Lighting, came to us with the idea that turned into one of the toughest logistical challenges we’ve ever faced. And that’s saying something. Here’s the idea behind the non-booth which was dubbed ioNature, and made possible by technology from a company called Think Create. 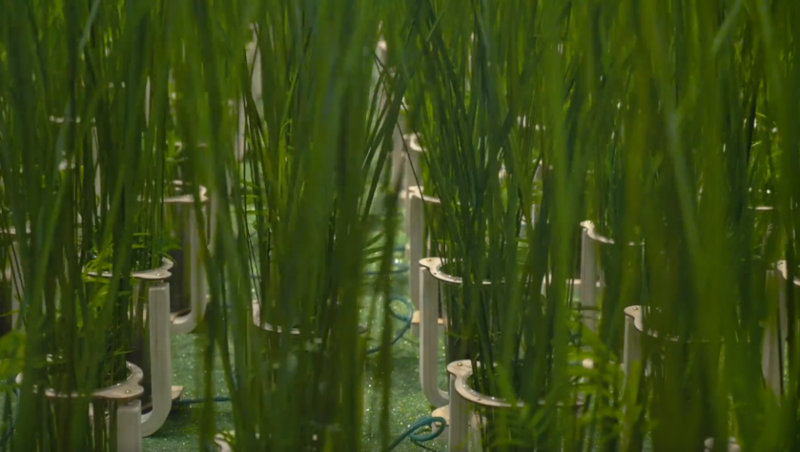 It starts with a field made up of 1,500 individual pots of grasses. Each is mounted on its own little, motorized-pendulum that allows it to sway back and forth. Then there’s a path through the middle of it all lined with hidden sensors. Visitors walk through, setting the grasses in motion, creating the sensation that nature is mysteriously responding to their presence. In the end, visitors got an evocative taste of a world where technology allows not just interactions between man and machine, but also man and nature. 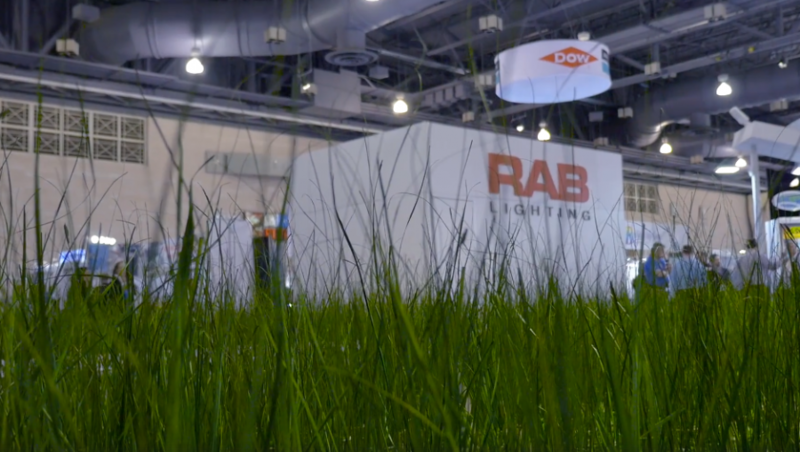 And with it, a powerful image of RAB Lighting’s technology and creativity. Did this gamble payoff for RAB Lighting? 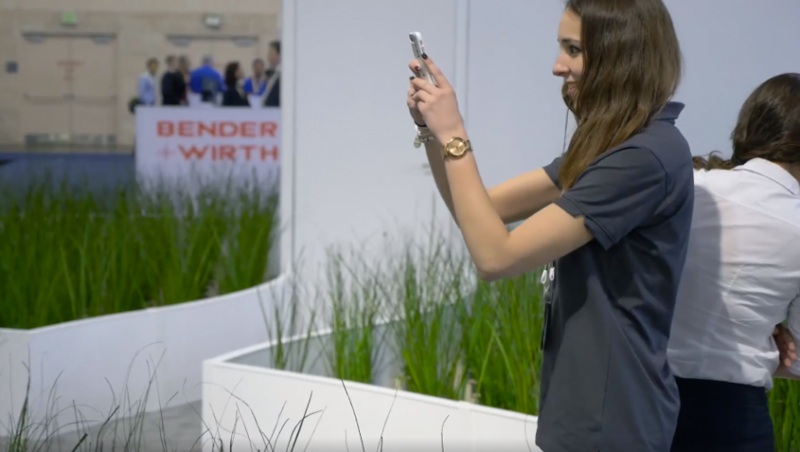 It’s still early, but the results look extremely promising: The exhibit drew a lot of attention, including a record number of qualified booth visitors, and an unprecedented amount of positive (and often amazed) social media activity. 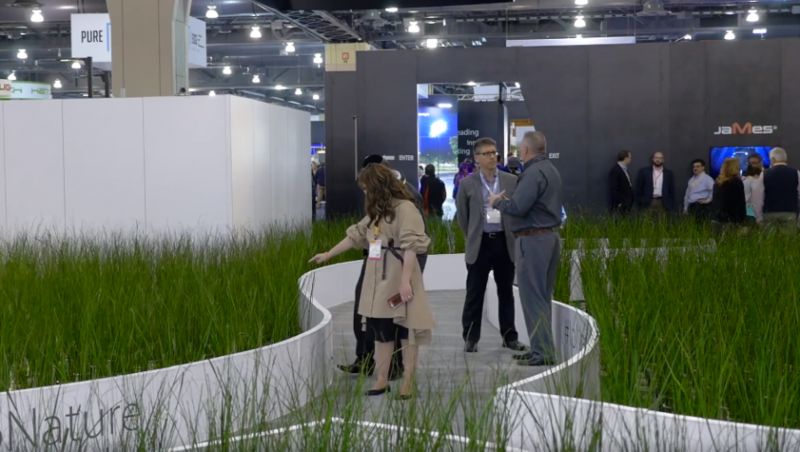 But most telling of all, the exhibit won a Lightfair “Best in Show” for booths between 900 and 2,649 square feet. Thanks to the everyone at Art Guild who helped bring this complicated, never-done-before concept to life on a tight timeline and even tighter budget.